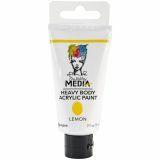 Dina Wakley Media Heavy Body Lemon Acrylic Paint - Ranger-Dina Wakley Media Heavy Body Acrylic Paints. Artist quality opaque paints available in a variety of bold colors plus white. Richly pigmented, these paints feature a thick buttery consistency that holds brushstrokes, peaks and tool marks and can be easily smoothed. The paints blend well with other media colors, creating an endless palette. Use with Dina Wakley Gel Medium for additional effects (sold separately). 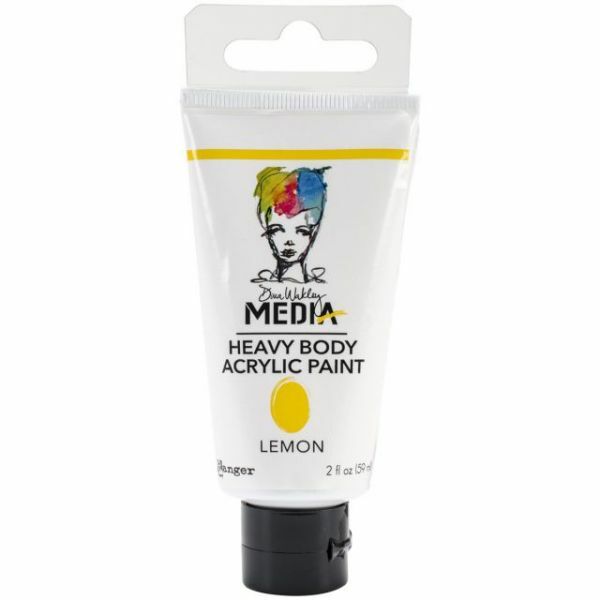 This package contains one 2oz tube of heavy body acrylic paints. Comes in a variety of colors. Each sold separately. Acid free. Non-toxic. Conforms to ASTM D 4236. Made in USA.